Blessed with independent and lively nature, Serengeti cat is famous for its friendly, outgoing and confident personality. They resemble the domestic cats and bond quickly and closely with the humans or family members. They socialize and make children their friends. They are also known as the “Velcro cat” as they sometimes opt for cuddling sessions from their loved ones. Serengiti’s are very energetic and simply love the hustle and bustle of the human life. 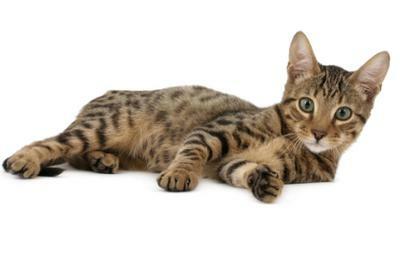 These types of cats are also popular for their liveliness and intelligence; so training them is not that challenging. They are independent cats and will not be found alone while you are busy at your work, but you would rather find them with a toy or so. Join in and write your own page! It's easy to do. How? Simply click here to return to Writers Guidelines.